Made with transparent acrylic provides great viewing on diffusing. User-friendly, nice in shape and high transparency. 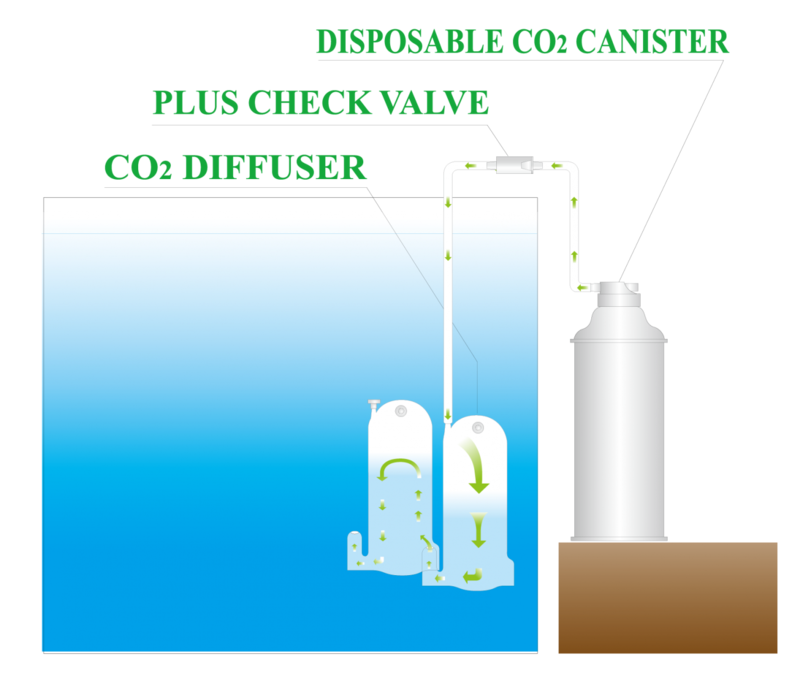 A simply way to efficiently dissolve CO2 into the water. Extendable in dissolving rate simply by connecting chambers. Vertically place the Diffuser into the tank to fill up the chamber with water. Connect the diffuser outlet with the pipe. Gently fill up the chamber of diffuser with CO2.